Aaron Jackson received his formal training in New York City at the School of American Ballet, where he trained year-round and in summer intensive. He attended other summer intensives on full scholarship as well, including Joffrey Ballet School in New York, Pennsylvania Ballet School, and San Francisco Ballet School. Jackson was a 2017/2018 School of American Ballet National Visiting Fellow. 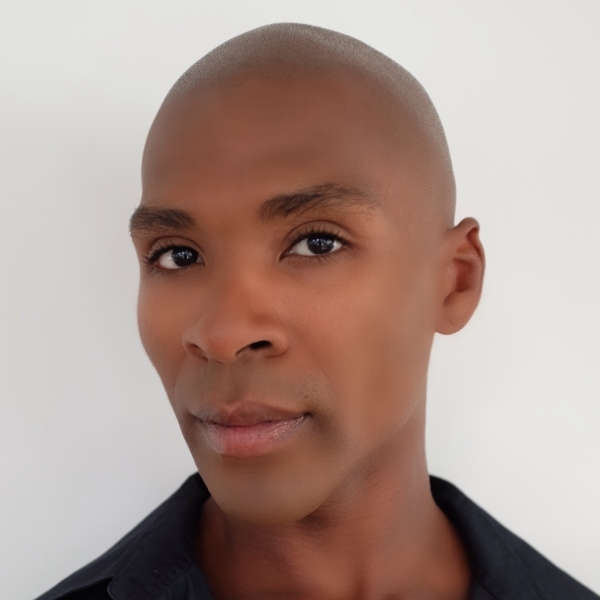 He is on the School of American Ballet’s Alumni Advisory Committee on Diversity & Inclusion. Jackson joined The Dance Theatre of Harlem in 2000 under the direction of the late Arthur Mitchell. His repertory included Firebird, Arthur Mitchell, Augustus Van Heerden, and Laveen Naidu’s South African Suite, and Geoffrey Holder’s Dougla, performed at various venues including in China at the Shanghai Dance Festival. In 2001 Jackson joined The Washington Ballet under the direction of Septime Webre. He danced Puck in Balanchine’s A Midsummer Night’s Dream, first and second themes in Balanchine’s Four Temperaments, Forsyth’s In the Middle, Somewhat Elevated, and numerous other productions by various choreographers. After eight seasons at The Washington Ballet, Jackson moved to Company C in San Francisco for two seasons, before retiring and returning to Washington in 2010. While a full-time company member with The Washington Ballet, Jackson began his teaching career at The Washington School of Ballet’s Summer Intensive and the Jones/Haywood School of Dance. In 2006 he joined the summer faculty of Berrend Dance Centre/Olney Ballet Theatre under the direction of Patricia Berrend. In 2010, Jackson joined the faculties at Berrend Dance Centre, where he teaches Levels 4, 5, PP1, and PP2, and at The Washington School of Ballet, where he teaches open adult classes. Jackson’s open classes accommodate dancers from intermediate through professional levels. While a National Visiting Fellow at the School of American Ballet, Jackson designed and taught a Ballet class for Level B1 students. In addition to teaching, Jackson has choreographed many short ballets for competitions and showcases, including Entropy for Berrend Dance Center students at the 2016 YAGP competition in Boston, placing at the semi-finalist level. His career also includes choreographic projects with The Washington Ballet Studio Company and The Washington Ballet Trainees. Jackson’s Abstract Pieces was performed by the trainees at The Washington School of Ballet’s 2014 Spring Performances. His other pieces have been performed by the studio company at various events. In addition, Jackson has taught master classes at the Musical Theater Center in Rockville, Maryland, and participated in a choreographic project with the Phillips Collection. Jackson has established himself as a guest teacher in the U.S. and internationally. He served as guest teacher and choreographer at City Youth Ballet in Johnson City, Tennessee, under the direction of the late Susan Pace White; and in 2015 served as a Guest Instructor at TAD, Tennessee Association Of Dance – Dance Festival in Murfreesboro, TN. He also served as a guest instructor at Tanz Akademie, Tanzwerk 101, and Zürcher Hochschule der Künste in Zürich Switzerland, Tanzkompanie des Theaters St. Gallen in St. Gallen, Switzerland as a Guest Instructor for Company Class, and The Musical Factory in Lucerne, Switzerland. Jackson has under his own initiative in Zürich organized and conducted numerous workshops. He served as a guest instructor in Stavanger, Norway, for Don’t Forget To Dance 2017. In addition, Jackson coaches dancers privately, including several who are dancing professionally or who have been accepted at prestigious ballet schools.